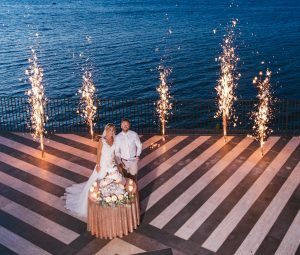 Bella Sposa offer a personal yet professional and complete wedding planning service, delivering stunning weddings in one of the most beautiful places in the world. Based in the beautiful and charming town of Sorrento we plan civil, symbolic and religious ceremonies in the some of the most breath-taking parts of Italy. 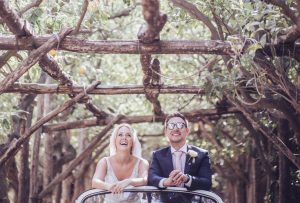 Whether it is the hustle and bustle and charm of Sorrento that interests you or the spectacular scenery along the Amalfi Coast, Bella Sposa has something for every bride and grooms style and budget. Our experienced and bilingual team will take care of every detail of your wedding. From the booking of the ceremony and reception venues to the legal paperwork, choosing the right photographer, organising the flowers and decoration and being there on your wedding day to coordinate everything we have planned from start to finish! There are so many reasons to marry in Sorrento and the word famous Amalfi Coast. 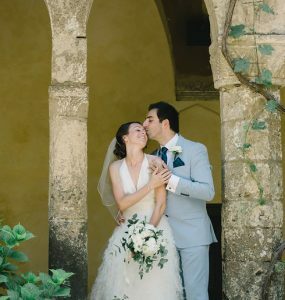 Whether it’s capturing the real authenticity of Italy and marrying in a romantic medieval setting or perhaps it’s the breath-taking scenery that you want to wow your guests with; here at Bella Sposa we can offer a range of spectacular locations and venues plus to choose from. We like to offer a bespoke service making sure that no two weddings that we do are ever the same. We work hard to make sure that our clients have our undivided attention and time, allowing us to tailor our services to suit their individual needs, something that bigger companies cannot offer. If it’s a private wedding that you wish to have, a location where can guarantee that you will be the only bride and groom that day then perhaps a private villa is for you. We work with a range of Villas that can offer you complete exclusivity. Just because you have chosen to have a destination wedding, it does not mean that you will be any less in control. It is simply our goal to make sure that your dream wedding becomes a reality. We take care of the whole wedding planning process, from the booking of the ceremony and reception venues, to all suppliers used, to the complete coordination and styling of your wedding day. We are on hand every step of the way, working from the first initial email, right up until the wedding party is under way and all formalities have concluded, making sure that your wedding day is exactly how we planned it. This style of service allows a clear level of communication throughout, to appreciate the benefit of hiring a wedding planner but most importantly, it takes away all of the stress from you as husband and wife to be. I’d contacted lots of wedding planners around Italy but as soon as we spoke to Cheryl we knew she was the right lady for us! She showed us all of the beautiful options and explained everything to us in detail. All the way up to the wedding Cheryl answered my all of emails and texts no matter when it was and calmed me down when I had a little panic about something! She made the process of getting married abroad so much simpler for us! I truly can’t put into words what a spectacular and magical day we had and can’t recommend Cheryl highly enough! Cheryl is worth her weight in gold. My advice would be to completely trust Cheryl with her advice for your wedding day and when she says 'don't worry'- don't worry! She really does have everything under complete control. Knowing this made me so calm on the wedding day and I spent the whole day beaming from ear to ear. Cheryl became one of the family on our wedding day and we are so glad we found her to plan the wedding of our dreams. Me and my husband visited Sorrento where we met several different wedding planners, Cheryl was the last planner we met and immediately knew she would be the planner for us! We saved the best till last 🙂 Cheryl has supported us throughout the whole of our wedding planning and journey on becoming husband and wife. She is organised, professional, honest and has lots of experience, it’s exactly what you need when planning your dream day. Words cannot thank you enough for everything that you did for us. You made the whole day seem effortless and I am certain that it would have been a very different story if we had not had you there. The most important decision we made when planning our wedding wasn’t the venues, the food, the flowers, or even the dress… it was choosing Cheryl as our wedding planner. 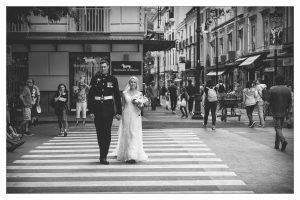 When you make the decision to get married abroad, as far as we can say, the key to it all exists in the person you chose to help and guide you. The first time we met Cheryl there was an instant connection- she is not just professional, creative and knowledgeable, but also kind, understanding and has a brilliant sense of humour. We also felt we could totally trust her which, as we found out throughout the lead up to our wedding, was absolutely essential. Absolutely fantastic, attention to detail was superb and everything was over and above our expectations and what we could have wished for.